I call this recipe Harvest Ham because off the apples and cinnamon added to it. 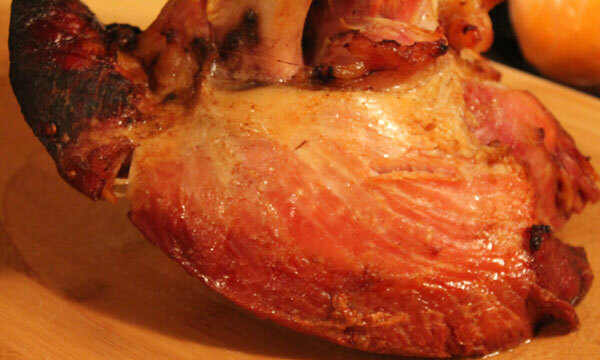 The flavors cooked into the ham create a nice, juicy, main dish that is delicious during Christmastime. Thaw your ham if you have kept it in the freezer. Place in a roaster pan and pour 4 cups of apple cider over it. Add 4 cinnamon sticks to the juice mixture. Cover with foil and bake at 250 degrees for approximately 3 1/2 hours. Amber is making Posole over at Thrifty Ninja! Be sure to stop by and check it out!